If China’s rim-driven pumpjet propulsion technology works, it would be a significant advance for the People’s Liberation Army Navy’s undersea force. In a recent article that appeared in the South China Morning Post, Beijing claims to have developed such a silent propulsion system—which some have compared to the so-called caterpillar-drive in Tom Clancy’s The Hunt for Red October. 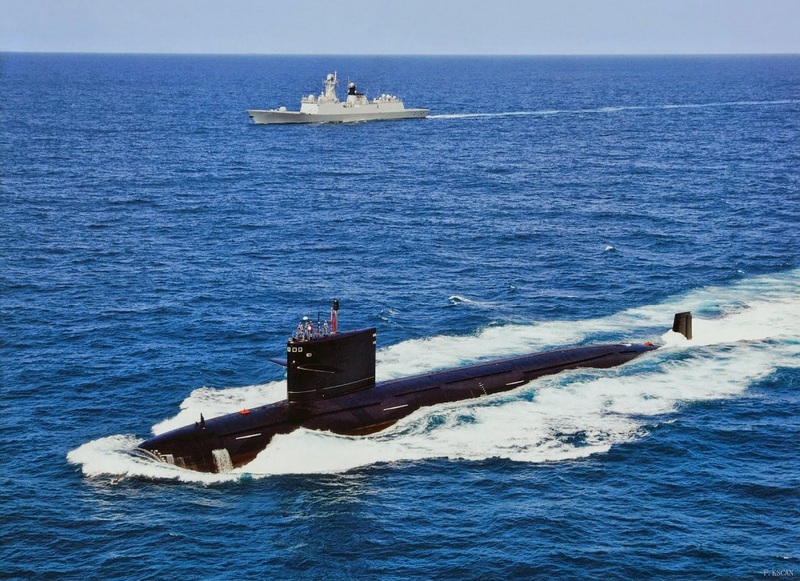 With vastly improved acoustical performance, a new generation of advanced Chinese nuclear attack submarines could add another dimension to Beijing’s anti-access/area denial capabilities. 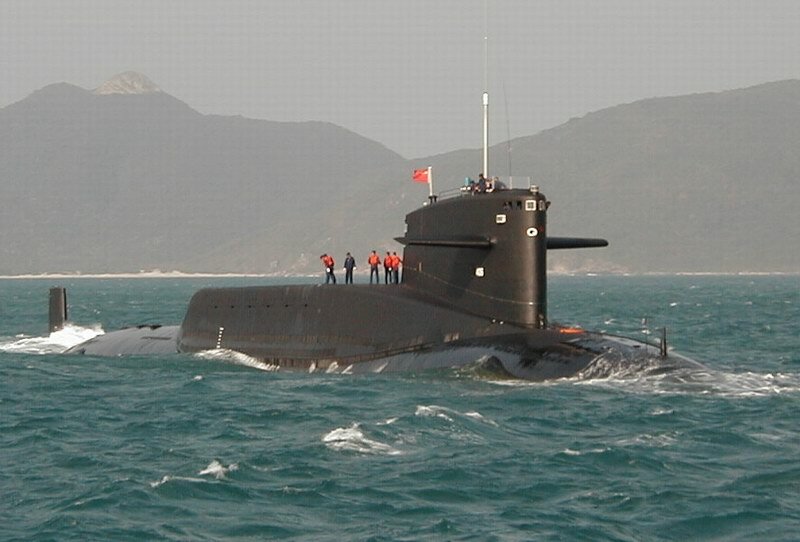 Further, new Chinese ballistic missile submarines hiding inside their heavily defended “bastions”—like the Soviet boomer fleet before them—would be much more difficult to detect and eliminate, greatly enhancing Beijing’s strategic nuclear deterrence. But that’s only if China can build an operationally relevant rim-driven pumpjet propulsor. American naval analysts are mostly convinced that the new Chinese silent propulsion system is a science project that may never make it to sea. “If it is well-built, a rim-driven pump jet would be a quieter propulsion system than traditional propellers, and could be quieter than shaft-driven pump jets like those on some U.S. submarines,” said Bryan Clark, a retired U.S. Navy undersea warfare officer and analyst the Center for Strategic and Budgetary Assessments. Retired U.S. Navy submariner Thomas Callender, a senior research fellow for defense programs at the Heritage Foundation and former director of capabilities at the Office of the Deputy Under Secretary of the Navy for Policy agreed with Clark’s assessment. “I agree that if engineers can develop a shaft-less rim-driven electric motor pump-jet, it would reduce the noise signature of the host submarine since without large traditional shaft with multiple bearings along its length (shaft must be long enough to connect propulsion motor inside the engine room to screw or pump-jet at the stern) and only having one bearing per pump-jet, the noise associated with the shaft would be reduced,” Callender told The National Interest in an email. The improved quieting would also likely more than offset potential drawbacks such as a greater magnetic signature. “A rim-driven pump jet would use an electric motor that is installed in the rim around the propulsor. Like any electric motor, it would generate a magnetic field. Because it’s outside the hull, it might be easier to detect with magnetic anomaly detection, but it could be designed to shield some of the field,” Clark said. While there are advantages to a rim-driven pumpjet, there also some serious potential drawbacks. One problem is that such motors may not be able to generate the horsepower to drive a massive nuclear submarine. “If China can put a well-built rim-driven pump jet on a submarine, the next question is how much thrust it provides,” Clark said. Callender noted that a single rim-driven pumpjet would probably be insufficient. The U.S. Navy’s forthcoming Columbia-class ballistic missile submarine will incorporate a permanent magnet electric drive propulsion—eschewing the traditional steam-driven propulsion turbine. The new propulsion system will be much quieter, Callender said, but it will come at the price of being enormous. Because of the sheer size and weight of the electrical motors, there are some size constraints that are inherent to a rim-mounted pumpjet. “Bryan is correct and I agree that the most critical technical issue with the rimless electric motor pump-jet as the main propulsion for an SSN or SSBN is delivering sufficient power in size and weight limitations of a stern pump-jet,” Callender said. As such, the Chinese would have to use multiple propulsors to design and build a practical submarine. “A more likely solution to incorporate a smaller rim-driven pump-jet (and therefore less power) would be to have multiple pump-jets located on the stabilizing stern fins (2 or more likely 4),” Callender said. Clark points out another potential problem even if the Chinese are able to solve all of the other technical issues. A rim-driven pumpjet would draw an enormous amount of electrical power and it is not clear that the Chinese can generate that kind of energy onboard their submarines. “An electric propulsion system will be less efficient than traditional steam or diesel propulsion because the reactor or diesel generator is powering a generator that then powers a motor, compared to a diesel motor or steam turbine directly driving the shaft,” Clark said. If the Chinese were to successfully develop and build a rim-driven pumpjet, there could be wider strategic implications. “If they have developed a genuinely silent drive for SSNs, though, they could use those boats as a free-range element of their A2/AD network: SSKs could form a relatively static defensive cordon closer to shore while SSNs roamed ahead in an effort to detect, track, and target oncoming U.S. Pacific Fleet or Seventh Fleet task forces (and to notify A2/AD forces to the rear of U.S. forces’ whereabouts),” James Holmes, professor of strategy at the U.S. Naval War College, told The National Interest. The new propulsion system could also be a boon for the Chinese SSBN fleet, which like the Soviet boomer fleet, uses the so-called “Bastion” strategy. To Callender, that is an indication that the Chinese technology is still in the lab. “To me this means that the rimless pump-jet is still very much in the Science and Technology phase of development and not a near-term mature technology,” Callender said. Ultimately, only time will tell if the new Chinese silent propulsion system proves to be genuine. But some U.S. naval analysts believe the rim-driven pumpjet is simply Chinese propaganda. “I read this earlier this morning and concluded that the PLAN propaganda machine was busy on July 4th,” explained Bryan McGrath, managing director of the FerryBridge Group naval consultancy.